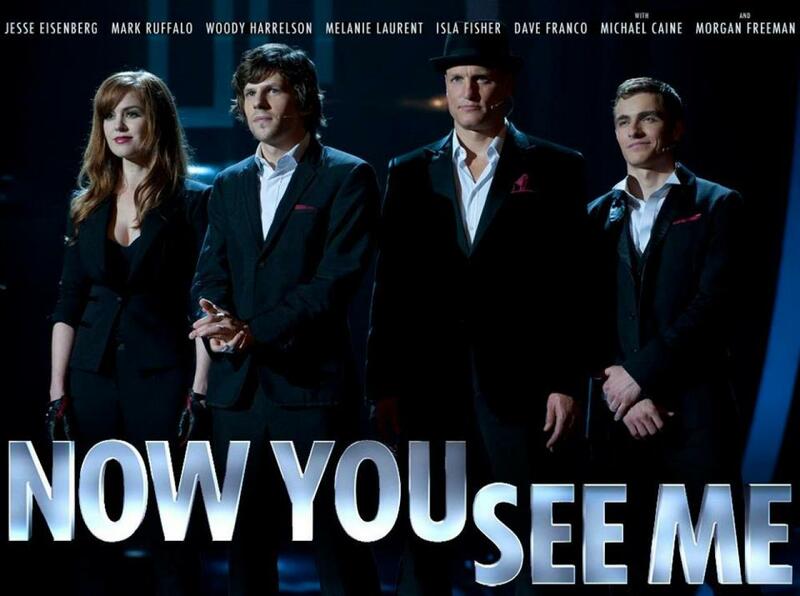 Now You See Me – Don’t See It! I have never been so disappointed in a movie that had so much promise. Now You See Me is about magicians, magic, heists, mystery, and surprises. Well, it was supposed to be about all of that. It loses its magic fast with a plot that is confusing in some ways, lack luster, not credible and a waste of big screen time. It is also a waste of such great talent like Jesse Eisenberg, Mark Ruffalo, Morgan Freeman, Michael Caine and even newcomer Dave Franco. They have some moments in the film where you see their talent shine through but the poor plot does nothing to make us care about their characters. My friend who joined me to watch the film even fell asleep during parts of the movie. Yes, it was that bad. So the movie is about these street magicians who are selected by a mysterious benefactor to pull off the biggest heists ever. On the surface it seems like it is just the con taken to the highest level. However, there is a greater mystery and purpose. Instead of keeping the mystery of the magic and weaving a story around the characters more closely, you get a collection of quick scenes with some action shots and magician tricks. Transitions did not feel smooth and did translate emotionally.